In this sponsored post, AVI-SPL discusses how collaboration tools can help create seamless, intuitive customer experiences. As similar products and services compete for people's attention and purchases, the customer experience can be the differentiator that leads to new and additional sales and establishes brand trust. Companies need to consider making the experience seamless and intuitive, allowing customers to quickly get what they want -- whether it's a purchase or more information. Failing that, they risk the loss of business and erosion of their revenue. One bad experience can have a lasting effect: The aforementioned PwC survey found that just 22% of companies say their customer experience has exceeded customer expectations. It also revealed something more dire: that one-third of customers would stop doing business with a company they love after a bad experience. That positive experience also includes video conferencing systems that connect customers with experts who can answer their questions. This capability helps meet what so many consumers around the world seek -- more human interaction. The organization must identify where the customer experience is lacking, and what would improve it. A virtual reality environment engages through a personalized experience that enhances the in-store experience as it responds to the customers' action in that environment. These technologies are attractive because of their ability to make it easy for customers to get what they want. Companies would also do well to give their employees the tools they need to provide customers that kind of service. When an organization's teams can collaborate in real time, and on-demand -- e.g., connecting regional headquarters with field reps who have firsthand knowledge of customer-related issues -- they can respond faster to their clientele by combining their talents to improve upon the speed, convenience, and knowledge that purchasers demand. 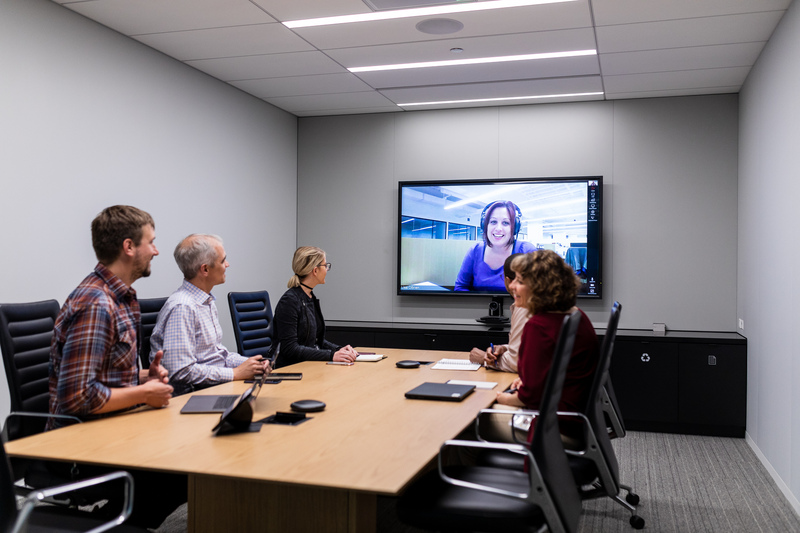 Managed services for meeting rooms, AV, and UC solutions keep those resources reliable and easy to use, so staff can focus on problem-solving and innovation. By outsourcing managed services, companies also free their IT department to devote more time to company initiatives -- including the development of new apps and better networks -- that improve the customer experience. As you commit to improve the customer and employee experiences, systems designers and integrators who specialize in AV and collaboration can help you understand each group's needs, where they have struggled, and what capabilities are necessary to create the experience that satisfies the end user and keeps your organization delivering high value. Click here to get strategies for improving the customer experience.